Third Time Is The Charm! 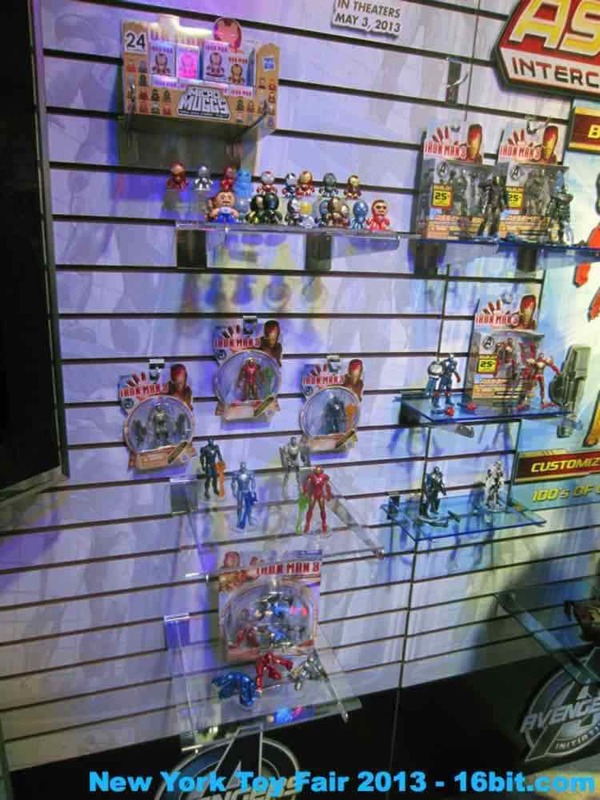 The first couple of Iron Man movies did pretty well, with the first being a surprise toy hit and the second having a robust product line packed with great 3 3/4-inch figures. 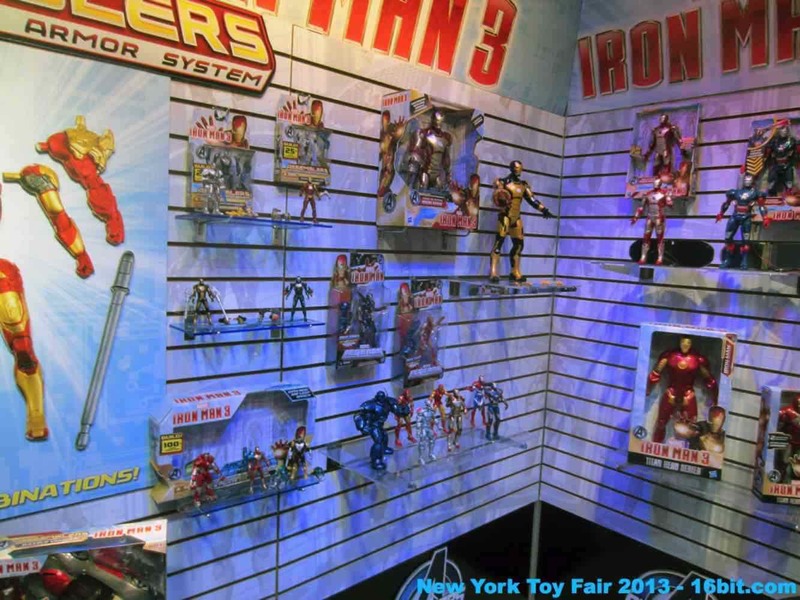 For Iron Man 3, the toys were supposedly debuting at the show but they were already in Targets prior to the journey we all made to New York City. 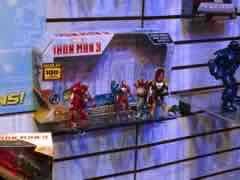 The direction is more kid-friendly on the whole, although there is a great 6-inch Marvel Legends series based on Iron Man. 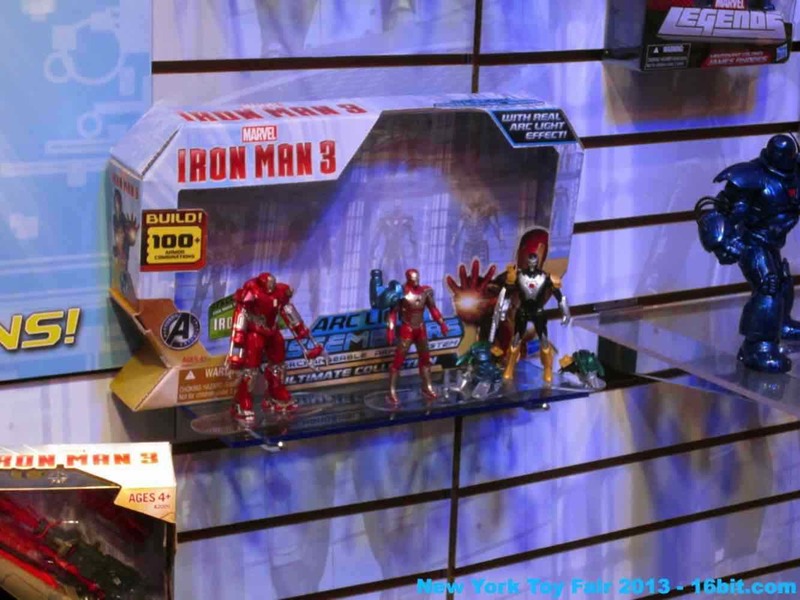 The good news is that there are two waves of 3 figures, with a large build-a-figure of Iron Monger! Each figure is about $15 and the first three are out now... and the bad news? The remaining 3 are slated for Fall, so prepare to kick your attention spans into high gear. 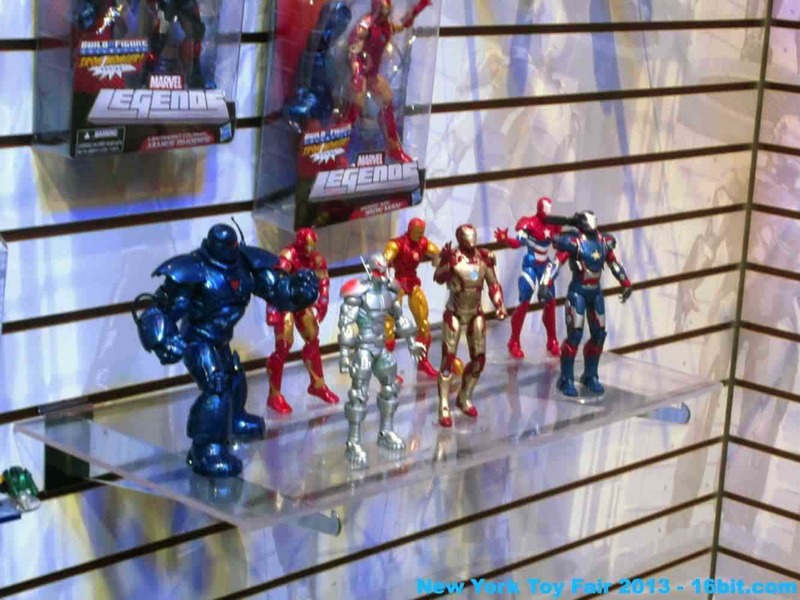 Ultron, Iron Patriot (Movie), and Iron Man MK 42 will round out the assortment, wave 1 of which is in stores now. 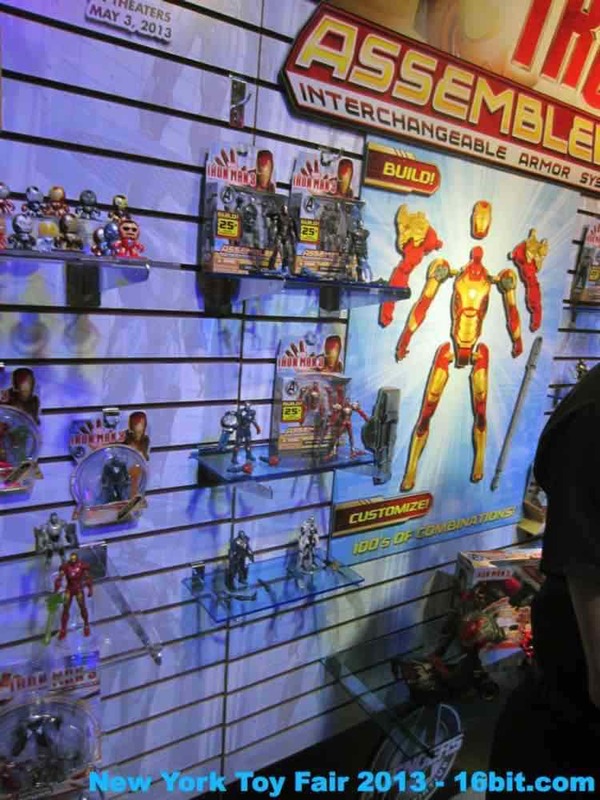 The big gimmick this time is Assemblers, which means the bulk of the 3 3/4-inch figures can be dismantled and their parts swapped around to customize the figure to suit your needs. A vehicle plus a boxed set of ARC Light Assemblers are coming, and despite the reduced articulation they feel really solid and toy-like. I picked up an Iron Patriot, and the chunky figure has alternate arms, a rocket-firing wrist weapon, and a shoulder cannon which can mount on his back. It feels like a real toy, rather than a collectible. A smaller assortment of cheaper, $5.99 figures are also available in stores now and (so far) have 4 releases. 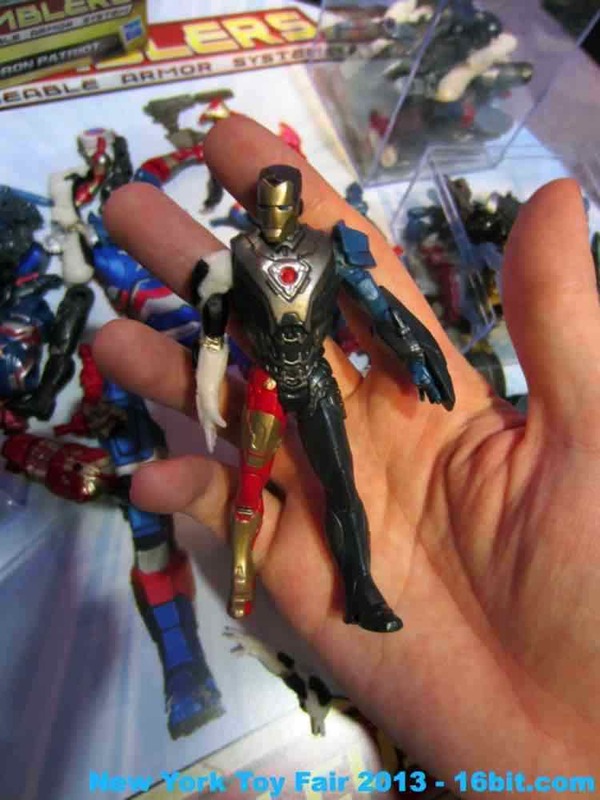 These are based on 3 3/4-inch molds Hasbro packed in with earlier Iron Man vehicles, some of which have 2011 copyrights painted on their inner thighs. 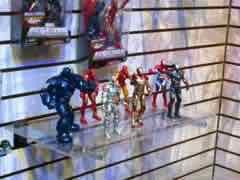 Larger electronic figures, additional waves of Assemblers, and even Super Hero Squad figures are making the rounds. Most surprising of all are tiny Micro Muggs, blind-packaged for about $2.99 each. 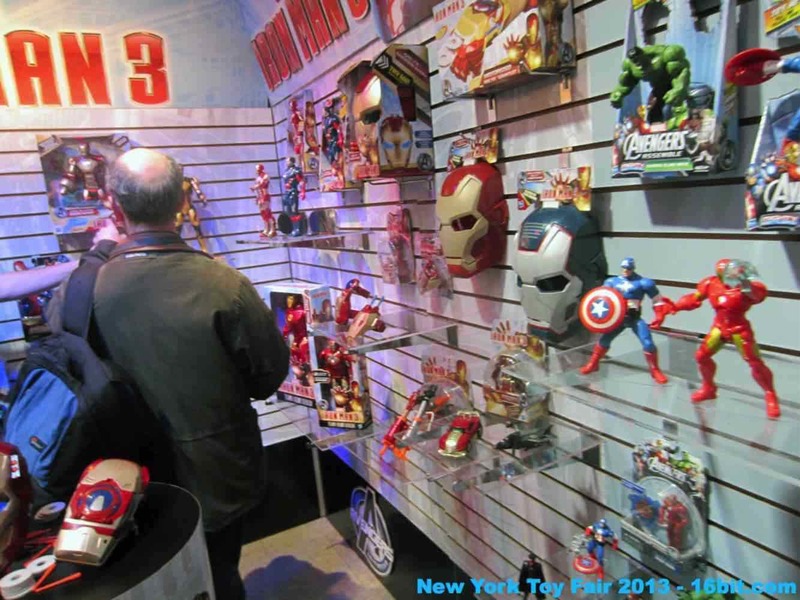 It's a fairly diverse selection of products, geared largely toward roleplay and the non-collector market. Having said that, I think I might pick up some more Assemblers as they're quite nice.